Getting engaged is one of life's precious moments. 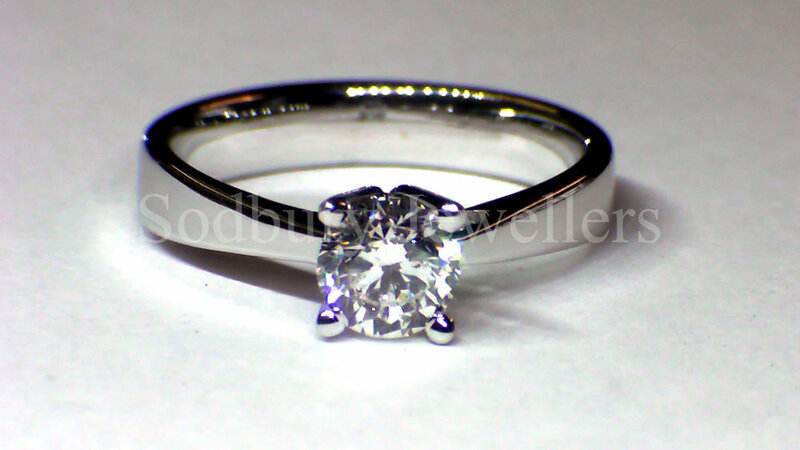 Here at Sodbury Jewellers we can make that moment even more special for you. It all starts when you choose your own diamond supplied by us, that is independently certificated by GIA, with which you can verify the characteristics of the diamond on the GIA website. For more information about Diamonds please click here. 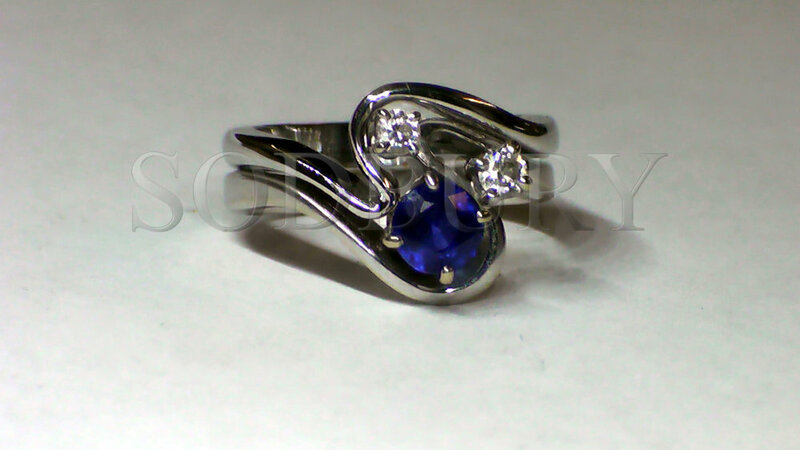 Your chosen design will then be made by our Master Craftsman, at the bench in the store, not cast. 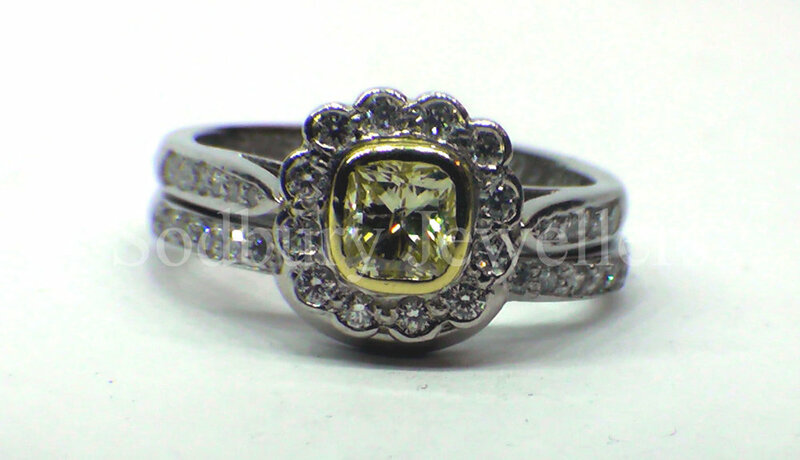 For engagement rings that are already made click here. All the engagement rings that we make are as individual as you are, and to give longevity will only be made in platinum or 18ct. 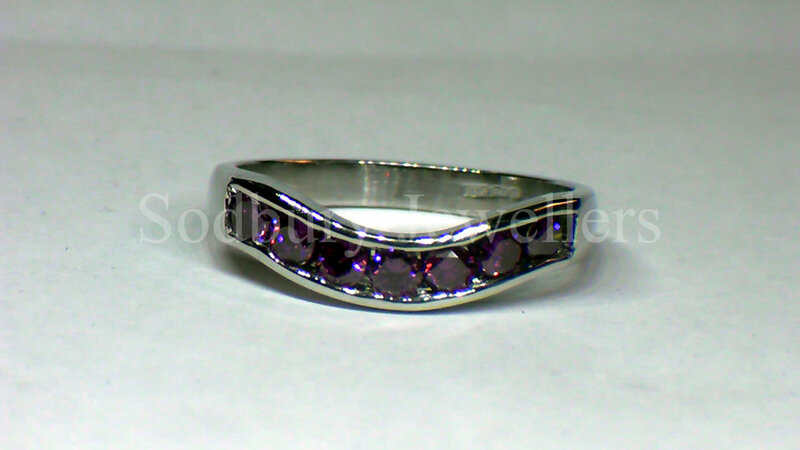 We also make custom shaped to fit wedding rings - diamond set or plain. For more examples of my work please click here. *Please give 48hrs notice for us to get a selection of diamonds in for you.